Over the last few weeks I have made a couple of trips up to Dunkled (upper cave), I have been trying Silkteddys and I should get it soon. 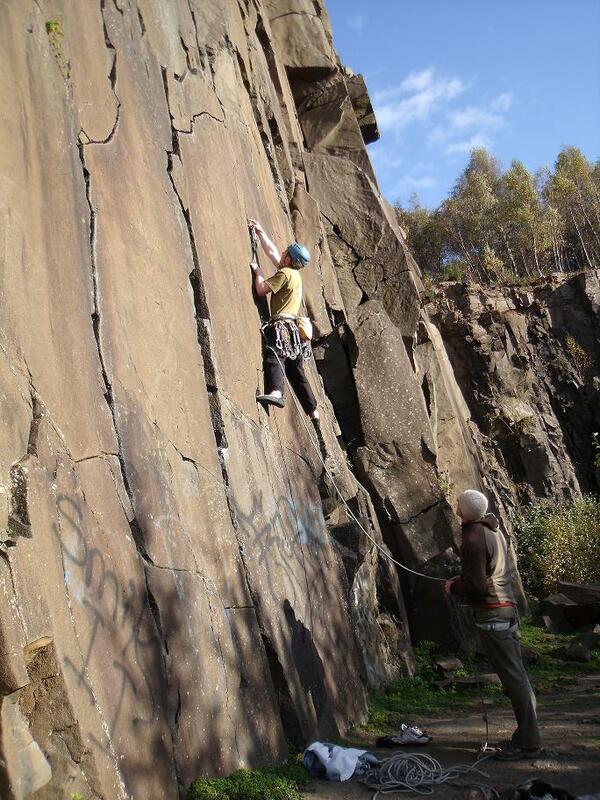 Yesterday Adam , Andy and I went to Cambusbarron out quarry. 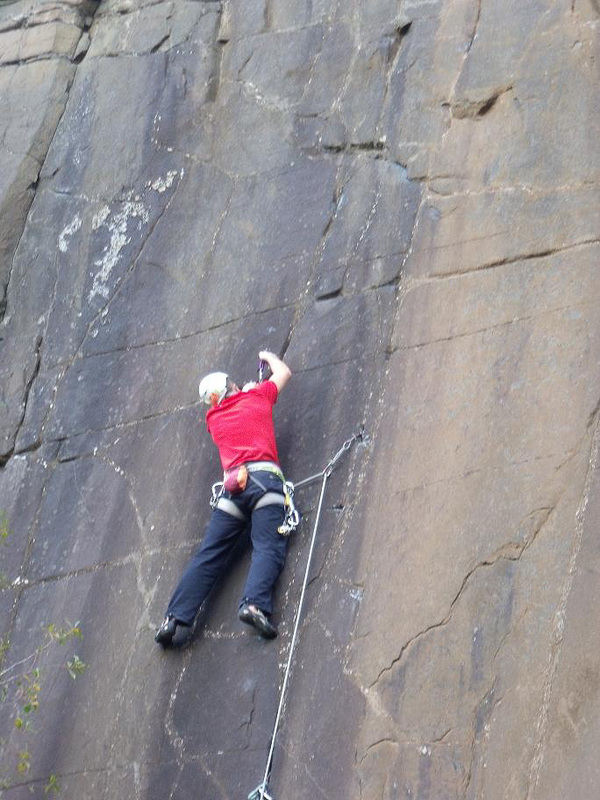 We did a bundle of trad routes. Some inc Andy doing a good E3, Adam doing a new E3 and chisel E4, I then did Chisel which goes at E4,6a. 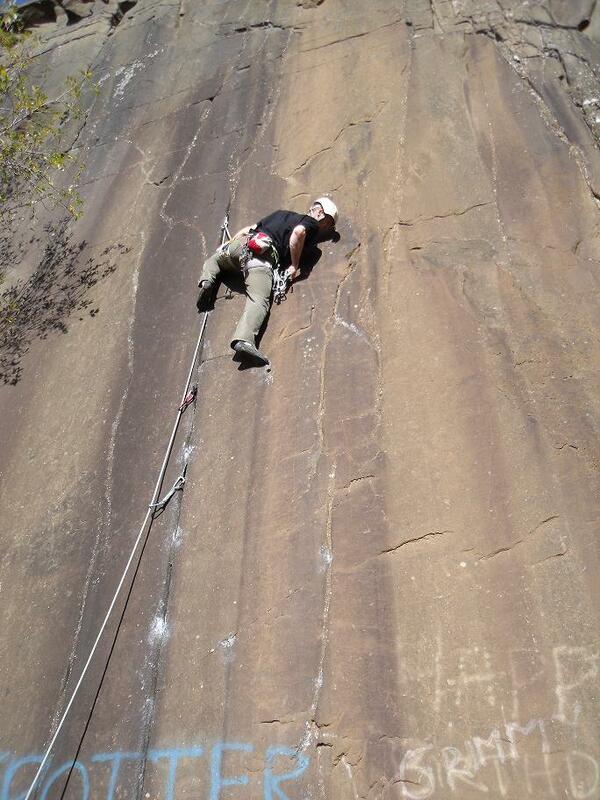 It was a good relaxed day in the sun with lots of routes getting done.